DMW boss, Davido does not seem to be able to stay clear of controversies at the moment. 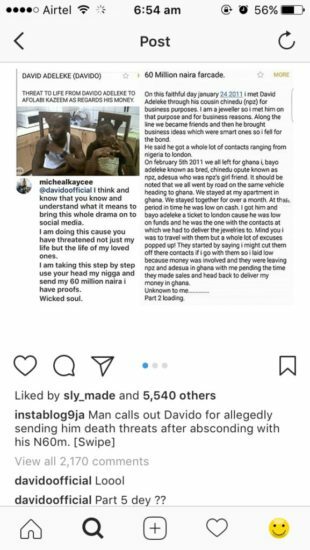 The singer was recently called out by a certain Afolabi Kazeem who claims he (Davido) absconded with his 60 million Naira. 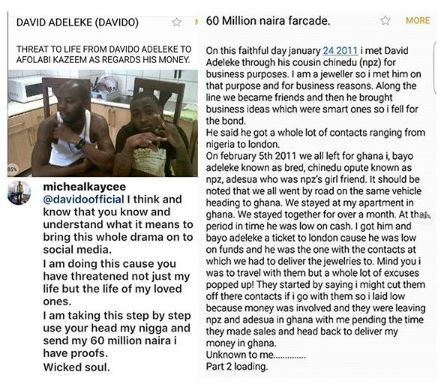 In a lengthy post on social media, the accuser, using the handle @michealkaycee and claiming to be a jeweler, detailed how he did business with Davido to the tune of N60 million. 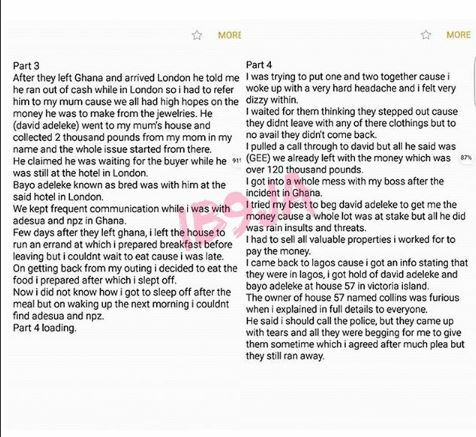 In his narrative, he wrote that he met Davido through Davido’s cousin, Chinedu Opute (npz) and B-Red, and they transacted business that involved Davido going to London to finalize the deal. He stated that after the deal went through, Davido and his cousins pulled a fast one on him as they absconded with the money which he quoted to be worth about 120 thousand pounds (circa N60 Million). He lamented how he has traced the singer and his cousins to Nigeria and how he reported the case to the Nigerian Police but no effective measure has been taken, according to him. 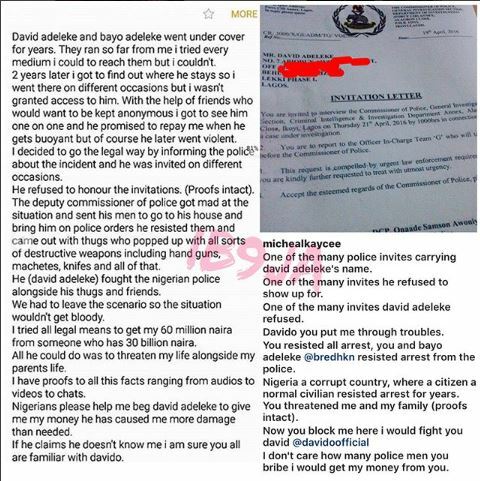 He claimed that Davido instead threatened his life and that of his loved ones. 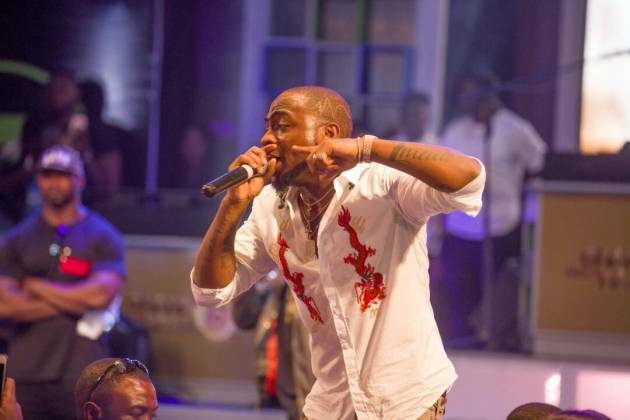 Davido has reacted to the story in his usually dismissive manner. He dropped a ‘lol’ comment on the Instagram post, asking if the there is more to the story.